People are spending more of their lives online than ever before and some actions in a digital public space can have extremely negative repercussions in real life. The effects of such behavior, such as posting revealing photos of one’s self on a social networking site or online stalking, range from mildly embarrassing to devastating. Certainly, people will eventually learn how not to expose themselves to the dangers of the world wide web but, until then, many users seem perfectly willing to shoot themselves in the foot as well as the feet of their friends. With this in mind, Ya Dun Goofed. Consequences Will Never Be the Same, is based on this phenomenon. The title of the work references a phrase spoken by a disgruntled father who appeared in a web video in order to address online bullying that had plagued his teenage daughter. The video quickly went viral and the father became an internet meme representing an empty and naive threat. Events that led up to the father’s rebuttal included his daughter’s video post in which she challenged antagonistic viewers to do their worst. Within days her name, address, phone number, and GPS coordinates were posted online. The project itself consists of two podiums and a digital projection. 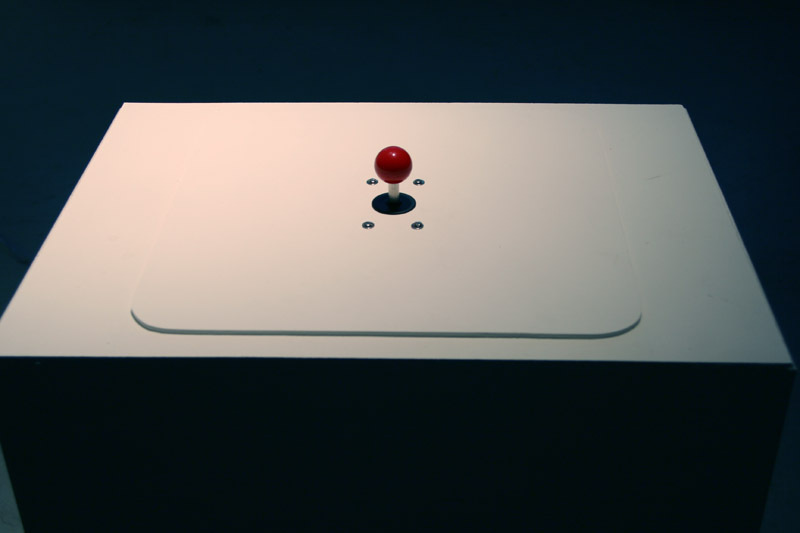 The first podium has a standard video game joystick on top of it and a small, egg-shaped sculpture rests on the second podium. 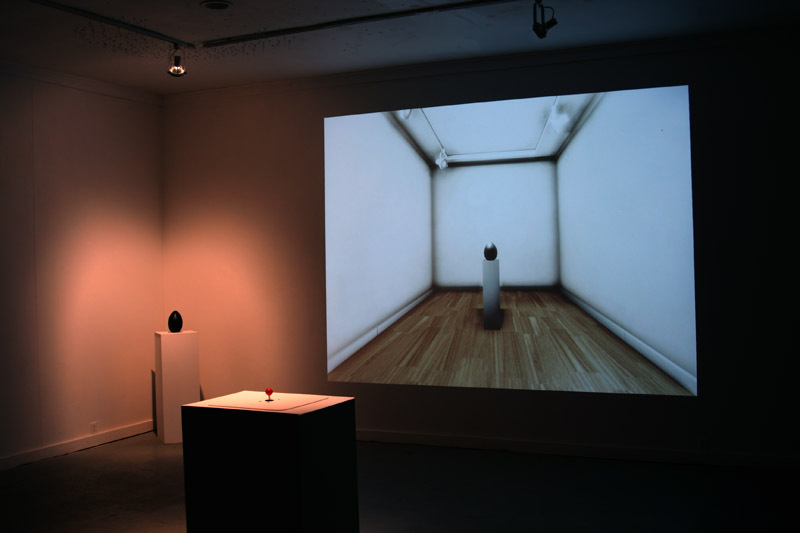 The viewer utilizes the joystick in order to navigate a digitally simulated gallery comprising a small white room with a similar sculpture sitting atop a podium. 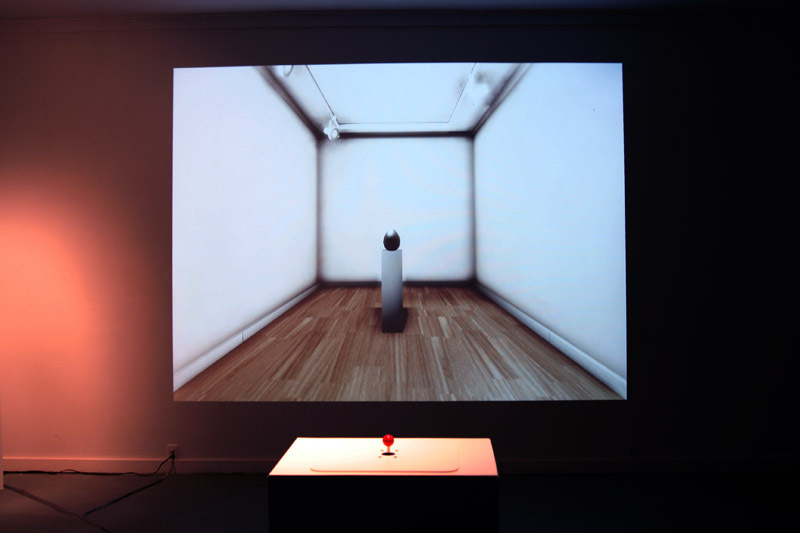 If the viewer happens to navigate near the simulated sculpture the podium will move and the virtual work will topple onto the floor. 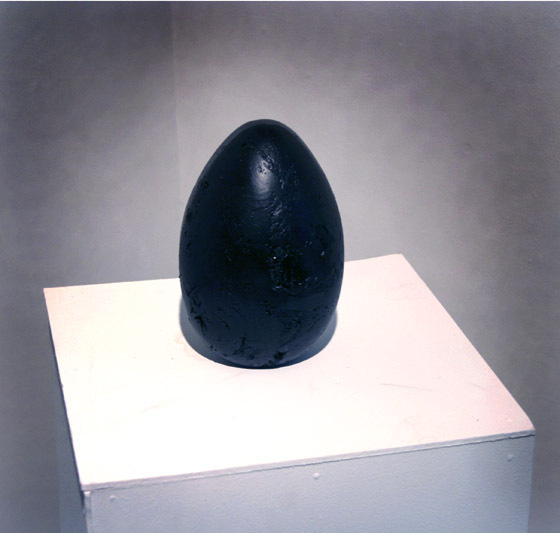 Almost simultaneously, the real world sculpture is knocked off its perch by way of a small mechanism hidden inside the podium. The displacement of the real world work is a consequence of the destruction of the digital work. Ya Dun Goofed! Consequences Will Never Be The Same from Hunter Jonakin on Vimeo. Video documentation of the work. This is a clip from the original video that inspired the work.